Vladykov, Vadim D.. "Lamprey". The Canadian Encyclopedia, 31 July 2018, Historica Canada. 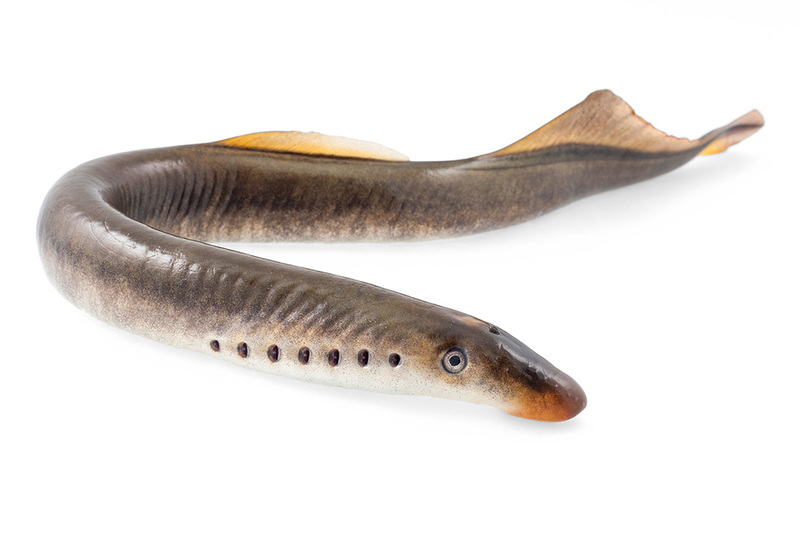 https://www.thecanadianencyclopedia.ca/en/article/lamprey. Accessed 20 April 2019. Lamprey, group of primitive vertebrates which, together with hagfish and various extinct forms comprise the fish class Agnatha. Lamprey, group of primitive vertebrates which, together with hagfish and various extinct forms comprise the fish class Agnatha. Lampreys occur in both northern and southern hemispheres. About 41 extant species are known, as well as fossil forms dating from the Mississippian and Pennsylvanian (353-300 million years ago) in the US. Twenty-three species are found in N America, of which 21 are indigenous. Eleven species occur in Canada. Lampreys have a cartilaginous skeleton and an eellike body form. They lack scales and paired fins, but have 1 or 2 dorsal fins. Seven external gill openings appear on each side of the body, near the head. Development begins with a larval stage, the wormlike ammocoete, which has a life span longer than that of the adult. The ammocoete has a broad, hoodlike structure overhanging the mouth. Its principal food is microscopic algae. Eyes are rudimentary and hidden under the skin. 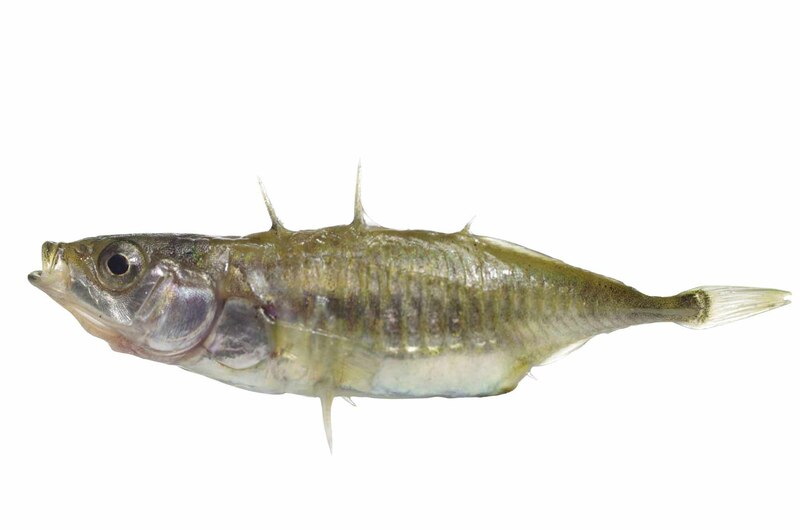 For respiration and feeding, water enters the mouth and is extruded through the gill openings. At the onset of metamorphosis, the ammocoete shrinks in length. In adults, water for respiration enters and exits only through the gill openings. Metamorphosed individuals acquire a sucking disc with horny teeth. They may be nonparasitic, lacking a functional intestine and not feeding after completion of metamorphosis; or parasitic, retaining a functional intestine and feeding primarily on the blood and body fluids of fish. Of the 37 northern hemisphere species, about 15 are parasitic. Nonparasitic species are confined to freshwater habitats. Although adults of certain species can live in salt water, all species spawn only in fresh water in specially prepared nests, and die shortly after. 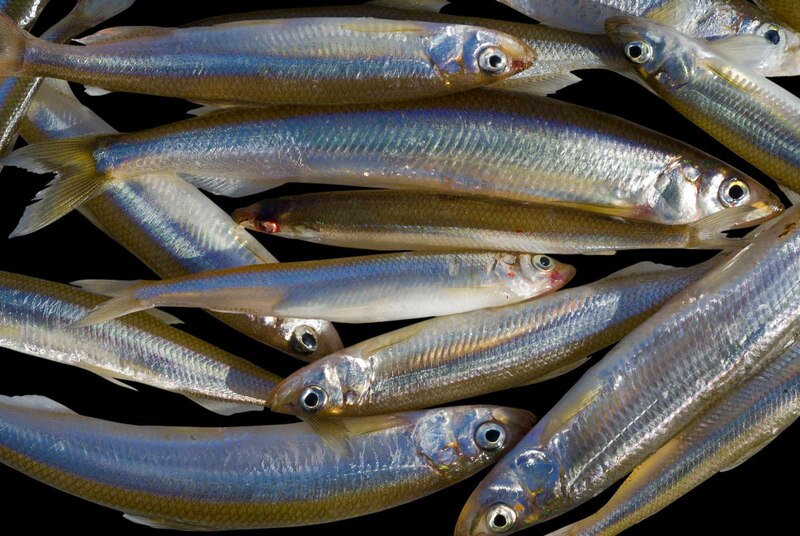 Before spawning, mature males and females shrink in length. Eggs are small (1 mm diameter); 1000-260 000 may be laid, depending on the length of the female. Three North American species of lamprey are very destructive to fisheries: Atlantic sea lamprey (Petromyzon marinus), 900 mm maximum length, spends some time in the Atlantic and becomes landlocked in the Great Lakes; Pacific lamprey (Entosphenus tridentatus), 690 mm maximum length, found in the west; and arctic lamprey (Lethenteron japonicum), 625 mm maximum length, of arctic regions of North America and Eurasia. These species attack other fish, attaching themselves by their oral discs and sucking the blood and flesh of the host. In the Great Lakes, the Atlantic sea lamprey contributed to the decline of the lake trout and other fishes. The species always lived in Lake Ontario, but was first found in Lake Erie in 1921, apparently having passed through the Welland Canal, and was established in the Great Lakes by 1940. The Canadian and American governments have instituted a program to reduce the population. Although Lampetra fluviatilis is considered a delicacy in Europe, lampreys are little eaten in North America, except by the Native people of the west coast. See also parasitology.